CSIS event on defending intellectual property 9:30 a.m.
FCC Communications Security, Reliability and Interoperability Council meeting 1 p.m.
WRC-19 Advisory Committee Working Group 4 10 a.m.
Brookings event on EU data protection legislation 10 a.m.
WRC-19 Advisory Committee Working Group 3: Space Services 11 a.m.
Engine and the Charles Koch Institute event on user generated content 12 p.m.
FCBA lunch event on C-band and terrestrial use 12:15 p.m.
Uniting Women in Cyber symposium 12:30 p.m. 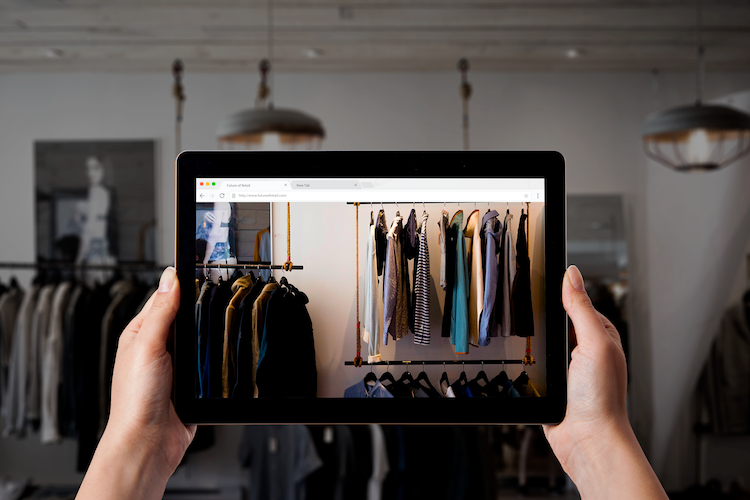 AU Internet Governance Lab session on governing IoT 9:30 a.m.
Get insights into how consumers are reacting to changes in the retail industry, and what they’re looking for in the future. Google has won the dismissal of a lawsuit in California accusing YouTube of censoring conservative content. In a decision late Monday, U.S. District Judge Lucy Koh said a nonprofit run by conservative radio talk show host Dennis Prager failed to show that YouTube infringed its free speech rights by placing age restrictions on its content. California is bracing for a high-profile fight over the state’s housing crisis. It’s a clash that pits Silicon Valley technology executives, who want to cut regulations that make it hard to build multi-story apartment buildings, against existing home owners and affordable housing advocates. The clobbering tech shares have taken in recent days has magnified not only how influential these companies have become in people’s everyday lives, but how much sway they’ve gained in global stock markets. The NYSE FANG+ Index—which tracks 10 global tech heavyweights, including Facebook Inc., Apple Inc. and China’s Alibaba Group Holding —slumped 5.6% on Tuesday, its worst one-day drop since its inception four years ago. 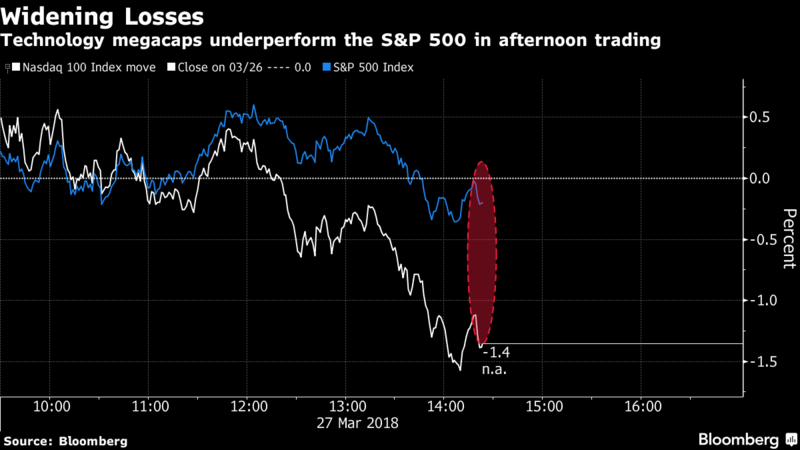 Stocks were on the back foot again across both Europe and Asia as the selloff in technology shares that rattled U.S. markets on Tuesday weighed on sentiment. Amid the risk-off mood Treasuries extended gains, but the yen slipped. Google just lost a major copyright case that could cost it billions of dollars and change how tech companies approach software development. An appeals court said on Tuesday that Google violated copyright laws when it used Oracle’s open-source Java software to build the Android platform in 2009. Here is a potential casualty of the U.S. government’s escalating fight against Huawei Technologies Co.: rural phone companies and internet providers that depend on the Chinese giant’s gear to connect their customers. Large wireless providers including AT&T Inc. have long steered clear of Huawei, which has been effectively barred from big U.S. business since a 2012 congressional report alleged the Chinese government could force the company to exploit knowledge of how its equipment is designed to spy or launch cyberattacks—a charge Huawei has denied. One of the issues with the way that tech companies like Facebook collect personal data from people is that they often make it hard for those people to understand what they’re collecting, and how to control it. So in the wake of the company’s recent Cambridge Analytica privacy debacle, Facebook is trying to make that experience less confusing. The computer expert who alleges a trove of Facebook data was improperly used to help Donald Trump’s White House bid said Tuesday that he strongly believes the information was also used by the Brexit movement that persuaded Britain to quit the European Union. In a 3½-hour hearing, Chris Wylie told the House of Commons media committee that he believes the breach exceeded the 50 million Facebook users reported earlier — though he didn’t give an exact figure. As a start-up called Cambridge Analytica sought to harvest the Facebook data of tens of millions of Americans in summer 2014, the company received help from at least one employee at Palantir Technologies, a top Silicon Valley contractor to American spy agencies and the Pentagon. It was a Palantir employee in London, working closely with the data scientists building Cambridge’s psychological profiling technology, who suggested the scientists create their own app — a mobile-phone-based personality quiz — to gain access to Facebook users’ friend networks, according to documents obtained by The New York Times. Fair housing groups filed a lawsuit in federal court on Tuesday saying that Facebook continues to discriminate against certain groups, including women, disabled veterans and single mothers, in the way that it allows advertisers to target the audience for their ads. The suit comes as the social network is scrambling to deal with an international crisis over the misuse of data belonging to 50 million of its users. Tesla shares dropped 8% Tuesday as federal investigators announced they would be looking into a deadly California crash and concerns about the company’s production of Model 3 cars knocked its credit rating. The National Transportation Safety Board tweeted that two investigators were conducting field research into the March 23 accident, in which a Model X SUV struck a highway median near Mountain View, Calif. and flipped into oncoming lanes, where it was struck by two vehicles. Uber Technologies Inc. won’t renew a license to operate self-driving cars in California while the company evaluates how one of its vehicles killed a pedestrian in Arizona last week. The San Francisco-based company told the California Department of Motor Vehicles that it will let its license expire at the end of the month, according to a letter from the department’s deputy director. Chipmaker Nvidia Corp said on Tuesday it has suspended self-driving tests across the globe, a week after an Uber Technologies Inc autonomous vehicle hit and killed a woman crossing the street in Arizona. The company’s shares reversed course in afternoon trading after the news and were down 4 percent at $234.50, wiping out nearly $6 billion in market value. Uber has agreed to pay $10 million to settle a class-action lawsuit brought on behalf of 420 female and minority software engineers who alleged discrimination and a hostile work environment. The proposed settlement comes as the entire tech industry wrestles with a notable lack of diversity. Dozens of iPhone owners are taking Apple Inc. to court over the company’s disclosure that it slowed down old phones to preserve battery life, in what could become one of the biggest legal challenges to the smartphone since its 2007 debut. Some five dozen iPhone customers have filed at least 59 separate lawsuits since December accusing Apple of slowing their phones to spur people to buy new iPhones, according to court records. Computers were turned back on Tuesday in Atlanta, but that doesn’t mean it’s back to business as usual. Five days after a “ransomware” attack crippled the city’s computer network, officials are trying to recover from the hack that blocked access to electronic records, leaving city jails and municipal courts running manually with paper and pens. Many city employees remain without access to email or the internet. Top FBI officials did not make inaccurate statements before Congress and in court filings about the bureau’s ability to unlock an iPhone belonging to an alleged shooter in the 2015 San Bernardino terror attack, the Justice Department watchdog said Tuesday. However, the internal probe into the case did turn up evidence that miscommunication within the bureau resulted in a delayed solution to accessing data stored on the device, which the FBI needed as part of its investigation into the December 2015 attack. U.S. short-term rental service Airbnb Inc said it would start disclosing host information to Chinese government agencies starting on Friday, as the San Francisco-based company complies with regulations in China. China’s strict regulations on residency require citizens and tourists to register their addresses with the police when they arrive in the country or stay at a hotel, within 24 hours. Today’s cyberthreat landscape presents unprecedented risks to the nation’s private sector and to our economic security. Major security breaches, some of them state-sponsored, at Target, Home Depot, Sony, and Equifax have damaged market value, tarnished reputation, caused revenue losses and recovery expenses. n a reversal, it turns out Facebook’s Mark Zuckerberg will be testifying on Capitol Hill. He’s reportedly preparing his strategy now. To make it easier and less intimidating for him, Facebook’s personal information scraper bot should just use some of the information we now know they have from all personal devices to create practice materials. If anybody does not yet understand they are paying for their “free” Facebook , Google, etc. by handing over their private data for use in advertising, please lead such people gently out into the woods and leave them there. In truth, many of those now canceling their Facebook accounts didn’t mind when their Facebook data was used to sell them pro-Obama messages. It’s okay to be paranoid. Someone is watching you. Maybe you’ve seen the video from an Uber self-driving SUV of that tragic moment: Elaine Herzberg, 49, is walking her bicycle across multiple lanes of roadway, moving from left to right. Cruising at about 40 mph in the far right lane, the Uber vehicle slams into Herzberg, killing her. Coming amidst a firestorm of scrutiny about how political operations can use and harvest consumer information, including from social media networks like Facebook, the UpGuard Cyber Risk Team can now reveal that a large code repository originating from AggregateIQ, a Canadian political data firm active in the 2016 US presidential race, was left publicly downloadable online. Revealed within this repository is a set of sophisticated applications, data management programs, advertising trackers, and information databases that collectively could be used to target and influence individuals through a variety of methods, including automated phone calls, emails, political websites, volunteer canvassing, and Facebook ads.